Sound impossible? Not when you’re lucky enough to live on Vashon Island ~ home of Coworking Office HUB070.com! Hmmm. What could an office in town do for you and your goals? No kids (or spouses) interrupting you (every 18 minutes). No sink filled with dirty dishes, hungry cats, whining dogs, piles of laundry, or dirty floors begging for your attention? No anxiety or stress bubbling forth within you, hour after distracted hour, until you’re losing your cool like you promised not to do just last night? Oh yeah. How you work impacts your family, too. What would they get out of you coming home after a day of focus and stellar productivity in your warm, professional office surrounded by amenities galore? How about a less stressed parent/spouse who just spent the day being super effective? Still, an office is expensive, isn’t it? That’s why you’re working at home, right? To make the ends meet and keep that credit card balance low? Sure, reduced stress is nice, but who can just up and decide to give themselves an office? You can! Check HUB070.com for exact details, but my office costs me only $8.33 a day and members of the Vashon Writers’ Office pay a mere $2.50 a day…far less than a cup of coffee which, by the way, is among the many amenities available for members of HUB070. Oh, and did I mention the wide array of teas available? The full kitchen? Two conference rooms, comfortable lounge (with a television & cable), and a resource desk where you and your fellow coworkers can find everything from scissors to tape to stamps for that letter you have to mail right away…and the full-service printer? In other words, giving yourself an office for 2015 could actually save you money! It is an investment in yourself. But wait! Are there more reasons to flee the cluttered kitchen counter at home for a large, clear desk space in a brightly sunlit coworking office? You bet there are! I interviewed several newish and long-term members and here’s what they appreciate most about having an office out of the home. Alex Tokar, owner of BitBamboo.com mentioned that maintaining a professional image while kids are screaming in the background is…hard. The head of the Dove Project mentioned the mad scramble they used to endure to find meeting locations, passing the official cell phone around, and the down side of being based out of someone’s guest bedroom. Moving to HUB070 simplified everything and allowed them to be so effective that they eventually outgrew HUB070! 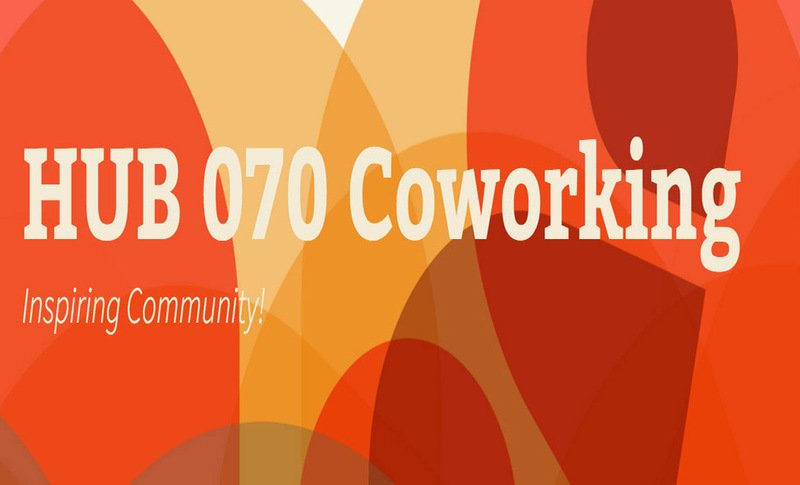 Many members of HUB070 Coworking appreciate the perfect blend of social contact with focused privacy so that we can make the most out of our working hours while not feeling isolated. If you are new to the island, working from home won’t break the crust very easily…coworking does! The Conference Rooms are especially awesome. How many people with a solo office can also afford to keep an empty conference room for those once-a-month planning meetings, classes, or client visits? Coworking spaces are exploding around the Puget Sound for many reasons, but one of the best reasons is that the independent and entrepreneurial nature of individuals attracted to Coworking Offices lends itself to the exchange of unique, out-of-the-box ideas. We’ve got a new world to build…improvements & discoveries to make…solutions to serious problems to find. Here on Vashon, connecting with proactive islanders is one step toward a better future for all! So, do yourself, your family, your new coworking friends, and your goals a favor…and give yourself an office for 2015! Curious about the space? www.HUB070.com Love writing and looking for support & productive writing time? Send Message to: marchpower@yahoo.com to learn more about Vashon Writers’ Office Membership Options! PreviousGIVE YOURSELF AN OFFICE FOR 2015! Next2015 Will be a Great Year @ Vashon Writers’ Office!